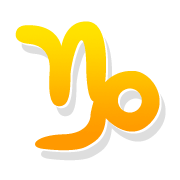 Free weekly horoscope for Capricorn star sign, for the week 22 Apr - 28 Apr Read on to find out how this week’s astrology aspects will affect you, in matters of love, career and more. Dear Capricorn, this week brings out some contradictory versions of your character. On the one hand, you know that balance in your life is important and this is why you seek more relaxed rhythms that allow you to think and act with reason and maturity. On the other hand, it fills you with passion, intensity and vehemence. This helps you achieve what you deserve and overcome problems that have been troubling you for a long time. To be fine with yourself and gain some energy, make the most of the weekend, to gain new experiences, be among loved ones and do something different, something that will revive you, but will also teach you something new. Your love life is expected to flow with pleasure, without controversy, tension and insecurity. Your coexistence with your partner becomes very important to you, so you will do everything you can to improve the conditions and the mood between you. You become more conciliatory, you acknowledge your mistakes and thus allow the relationship to evolve. The sense of freedom that becomes more intense within you will help you discover the love in its quintessential form. Restrictions are unnecessary when someone really loves you, so be prepared to learn that, whether you're in a relationship or trying to start something new. At work you can move with absolute secrecy in order to achieve what you have in mind. You will, of course, be able to coexist with your associates, work with them with very positive results, but you will be able to move equally well alone. Make sure you do not get carried away by the people around you and stick to the path you have chosen. In your finances, finance, you will do whatever you need to balance things out. Prudence will help you cut down on your expenses. Limited time offer: get a glimpse of the major changes coming in your personal life with your Pluto Retrograde reading! Text HF [space] and your date of birth, send it to 78887 now and you will receive 2 FREE messages with your personal reading! ♑ Get now more details about the impact of the planets this week, based on your ➳ Weekly Horoscope.